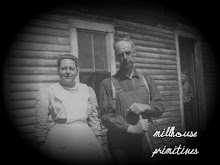 Mill House Primitives: Happy Valentines Day! Just wanted to wish everyone a Happy Valentines Day! My heart goes out to all of the military wives whose husbands are deployed and serving our country. It's kind of a bittersweet day for them....looking forward to the day that they come home and can be with their Valentine again. 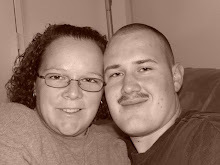 As I was talking to Lynsie on the phone today... she reminded me they had been together for 5 years and only spent one Valentines Day together! So this post is for all of those military wives who give so much of themselves while their husbands are giving to our country! We all wait anxiously for the day that John returns home safely to be with his family again. My thoughts and prayers are with you all. God Bless you!